Looking for inventive help from past experiences!! Last edited by vaderag; 22-01-2019 at 08:01. Can you post a rudimentary plan-view drawing of your room and maybe some photos of the bay so we can see what we're working with? Attached taken from when we built the house. Any options “inside” the bay window will reduce the rear sound stage down a huge amount. Could you flip the design round to have screen in window with left and right speakers being in front of bay in corners. Could have a screen ceiling mounted and drop in front of window if using projector and if using tv could get a stand which has vesa mount attached ? Last edited by dunkle; 09-12-2018 at 07:04. I don't think screen other way will meet WAF, it's been enough to convince her of this!! Do rear speakers pointing back actually work? Wouldn't that just combine with the front channel? In such a small / confined area I doubt will make a huge difference. The big issue will be the separation of the sound stage though and you will be sat very confined to both rear speakers so you may not notice a huge rear sound stage. Having had numerous amps over the age the Sony certainly works the most magic and would make the most out of your conditions. Pop your chair there. Pop the speakers you are going to use as best you can in final positions and see how sounds. Even run them as a front sound strage with stereo music playing just to get a feel for things. And what's the best source to experiment with? 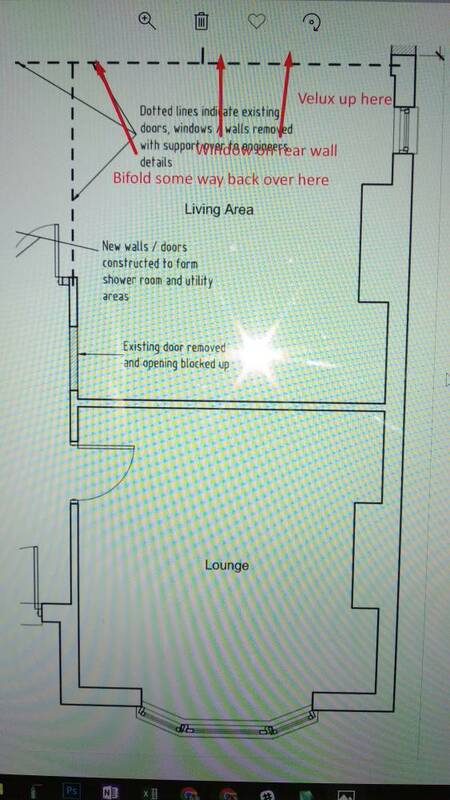 So your TV will be directly opposite the window ? Likely you'll need some proper blackouts rather than just blinds, else the stripey reflections might drive you mad ! Yeah I think dunkle's advice might be the way to go. How far into the bay will you be sitting? Right in there or just slightly in? If it's the latter you might find that having the rears to the left/right as close to the back wall where the bey recesses from might sound OK.
One word of advice about the Sony 1080 receiver: Beware that a lot of these units hum like a ******* refridgerator and you might have to put up with that if you happen to place the unit near where you sit. Last edited by Shingster; 09-12-2018 at 22:47. Thanks guys. I'm not looking for new equipment right now (other than perhaps a couple of slimline speakers), but will definitely bear the Sony in mind when we get there. projector screen acting as a blind, covering the entire bay ? I don't think that would work well unless there are companies that do special extra-thick screens that completely block out the light fromt he window? He will also need enough clearance above the window for the rolled-up screen. Last edited by vaderag; 22-01-2019 at 07:59.